I say with pride that I am an Honorary Afro-Cuban cat person. This has nothing to do with my tuxedo coat as ordinary Cubans haven’t seen a tuxedo since the ignominious and hasty departure of Batista’s corrupt government and its mafia pals in January 1959. I live in a part Afro-Cuban household and have heard the younger Carer hold forth on the positive elements of the Revolution, but then the betrayal of the people by the Cuban Revolutionary government. Humans’ greed for power and money never fails to depress me. Of course there are those of us animal persons who like a bit of cunning deception, but this is usually a survival strategy to get food or avoid death. My favourites are the animal tricksters, especially coyote and opossum. I’ve tried playing possum, especially when I twig that The Carers have a visit to the vet in mind and I don’t have time to get behind the sofa, but they just drag me into the carrier anyway. So I’m thinking of emailing the Mexican possums to get some tips on Human deception tactics. 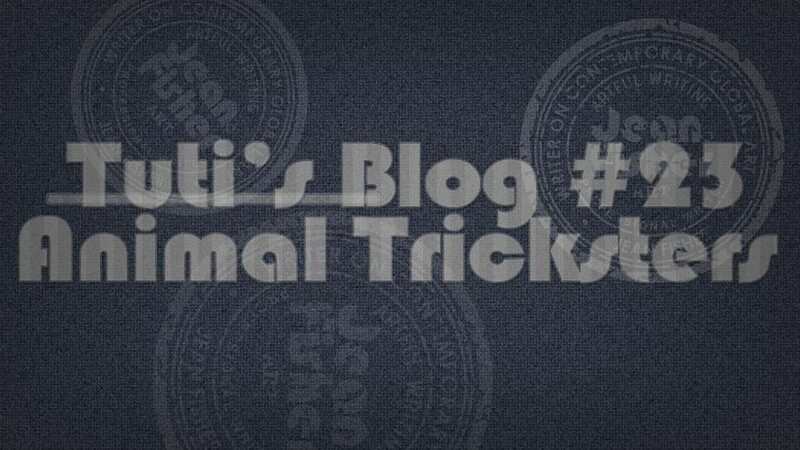 Tuti’s Blog #22 – Animal racists?